WHEN the great Vanuatu chief, Roi Mata died some 400 years ago, his devout followers so wanted to ensure that he enjoyed life in the hereafter just as he had on earth, that they had some fifty of his wives, family and closest retainers buried with him… alive. As well scores, possibly hundreds, more of his followers, confidantes and advisors were also buried alive in pits around him. Most volunteered and self-sedated on super-strong kava, while others chosen because of their positions, but reluctant to jump into the pits alive, were clubbed and pushed in. The exact number is not known, but it is believed it could be as many as three hundred. Paramount Chief Roi Mata arrived in the village of Mangaas on Efate Island in the late 1500s or early 1600s, although it is not clear from where he came. Oral history still passed down through generations today speaks of his extraordinary powers – coupled with his enormous size – in bringing together in peace, rival clans for whom bitter warring was until then considered little more than a blood-sport. One of the means he used was the so-called natamwate or "peace feast," at which weapons were laid down and factional enemies sat together to eat grandly, drink kava and listen to Chief Roi extolling the benefits for all of living together in harmony rather than in conflict. It was at one of these feasts on the island of Lelepa off the Chief's mainland village in the early 1600s that he became violently ill, poisoned it is claimed by his own brother who sought his power. 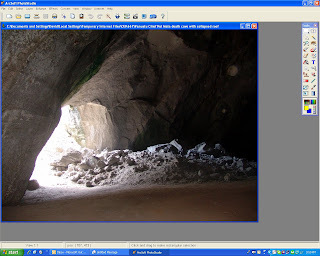 Chief Roi Mata was made comfortable in what is now known as Fel's Cave. But his people so feared the power of his spirit in the after-life, that rather than bury him at his Mangaas village on the mainland, they chose another cave a safe distance away on Artok Island. And after his funeral Artok was declared fenua tapu, or forbidden land; it is unoccupied to this day, while the name Roi Mata still cannot be given to any living being. 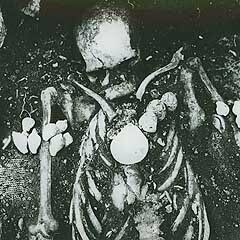 It was only in the middle of the last century that researchers began taking serious interest in the life of the great paramount chief, and in 1972 French archaeologist José Garanger located his grave and found the skeletons of Chief Roi and at least fifty of those who'd been buried with him. And all of this within picturesque Havannah Harbour that was an important allied Catalina aircraft reconnaissance base during the Pacific War, where the Americans massed their fleet for the Battle of the Coral Sea – and chosen for its rugged beauty for the American TV reality show 'Survivor Vanuatu' in 2004. 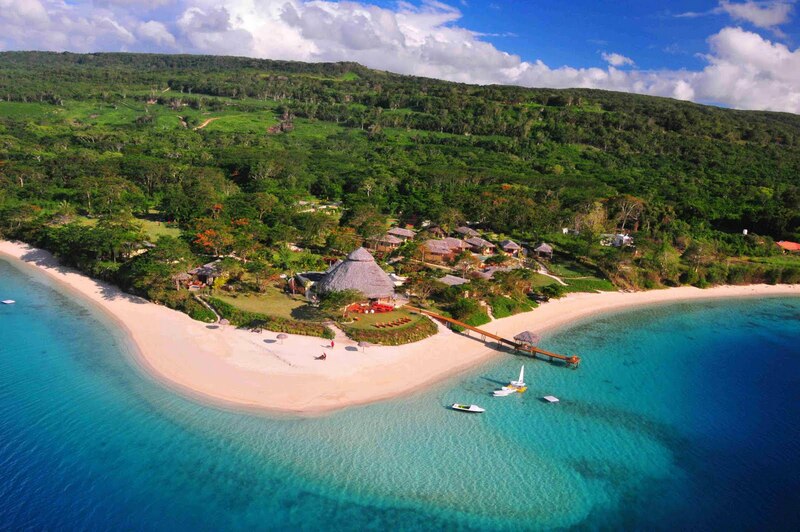 Today it is also home to one of Vanuatu's premier resorts, The Havannah that opened in 2009 with just sixteen rooms in a range of absolute-luxury bungalows set in tranquil grounds facing west over the harbour to capture Vanuatu's famed tropical sunsets. The Havannah is also a diner's delight with gourmet offerings that can be enjoyed before spectacular views from its Point Restaurant with its 270-degree views, on the beach, on your own private verandah… or even on the resort's jetty. It is also child-free, with accommodations ranging from spacious Beachfront and Sunset View Villas with king beds, to Deluxe Waterfronts with private infinity plunge pools and private cliff-top day beds… and there's a totally decadent Day Spa with a full range of absolute-luxury facial and body treatments for women and men. Activities available include guided village tours, remote-beach picnics, the Roi Mata Tour, tennis, snorkelling, diving, game fishing the famed Marlin Highway aboard the resort's 28-foot Gamefisher, and mountain-biking. 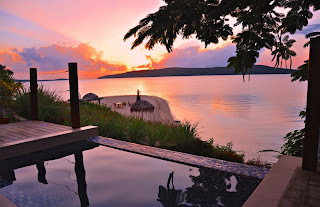 VANUATU's Havannah Resort – an idyllic place in the sun. 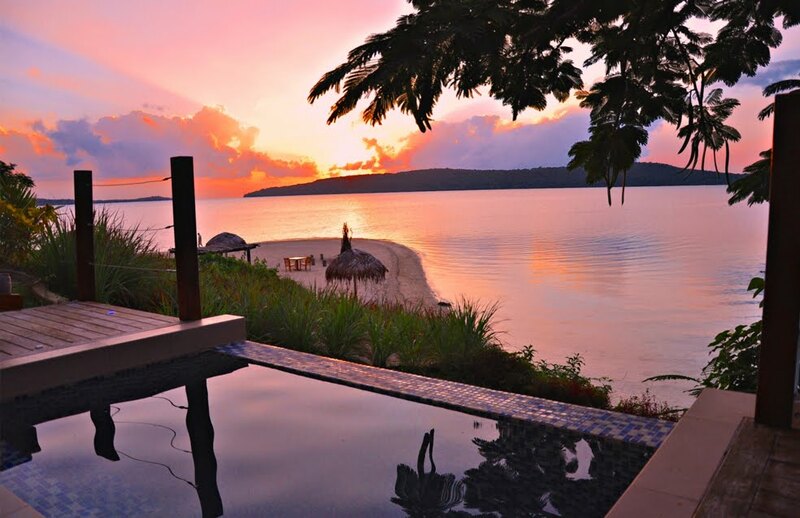 PERFECT South Pacific sunsets set the mood for dining and romance. ROOM with a view: this room leads straight out to its own infinity plunge pool. CHIEF Roi Mata's death cave. 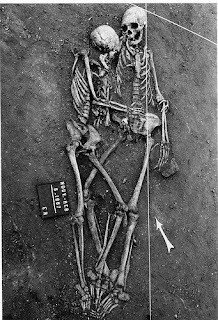 THE skeletal remains of a couple who died alongside him. CHIEF Roi Mata as discovered by French archaeologists in 1972.